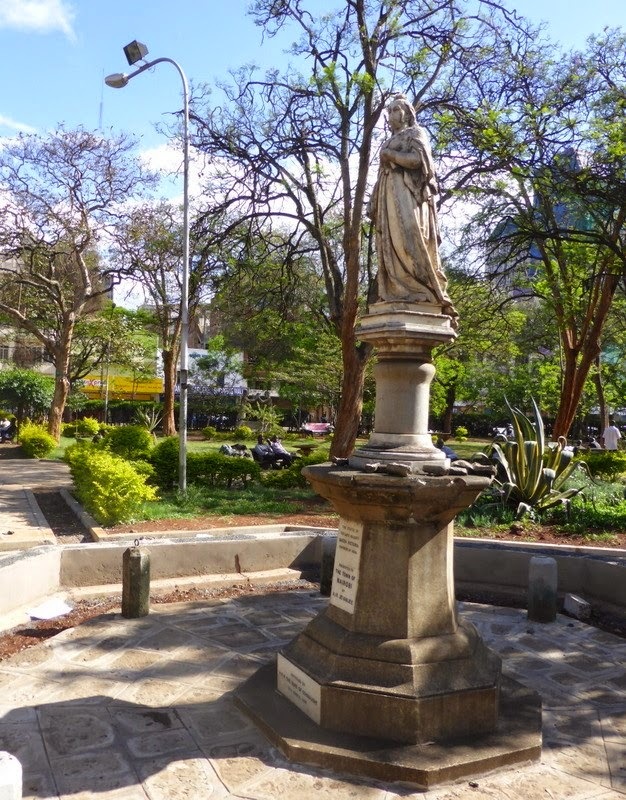 KENYA HISTORY TODAY: Who will restore these Nairobi symbols of the past? Who will restore these Nairobi symbols of the past? South Africans have managed to topple the statue of Cecil Rhodes from University of Cape Town and they are moving to vandalise other statues connected to the imperialist past. In the rage, the statue of Mahatma Gandhi was also vandalised. We don’t know where they will stop. They are wrong – and we were wrong in 1964 to remove the statue of Lord Delamere from the junction of Kimathi Street and Kenyatta Avenue, the King George V statue and the bronze portrait plaque on the King George VI memorial near Intercontinental Hotel. 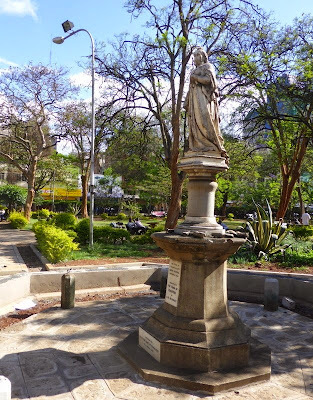 Recently, at the Jevanjee Gardens in Nairobi, the statue of Queen Victoria (below) was destroyed by some vandals – denying future Nairobi generations to have a glimpse. Empty plinths will never tell the story of a nation, however painful. Otherwise, how do we tell the authentic and balanced history of our colonial past while we have distorted the landscape where they sat? While the fall of any regime is usually followed by the removal of its images and symbols, removal of monuments, memorials and statues is usually the first sign of intolerance. There is no monument that cannot be contested in space and time. Germany removed the Nazi monument after the Second World War only for it to be rebuilt in 1988 to provide a link between the past and present non-Nazi generation. It is now a reminder of the fascist past and offers a symbolic dialogue to citizens. In 1964, Kenya erected the statue of Jomo Kenyatta which was unveiled outside Parliament. Some 10 years later, another statue was unveiled outside Kenyatta International Conference Centre. The two captures the history of Kenya in the formative years and any maverick who would target them in years to come would have done a disservice to history. The same goes to the Tom Mboya and Dedan Kimathi monuments in the central business district. Perhaps we have been lucky, so far. President Kibaki did well to have resisted pressure to erase the Nyayo symbols and monuments that remind Kenyans about the dark days of Kanu. Virtually every major town has these symbols – their architectural and aesthetic wants notwithstanding. 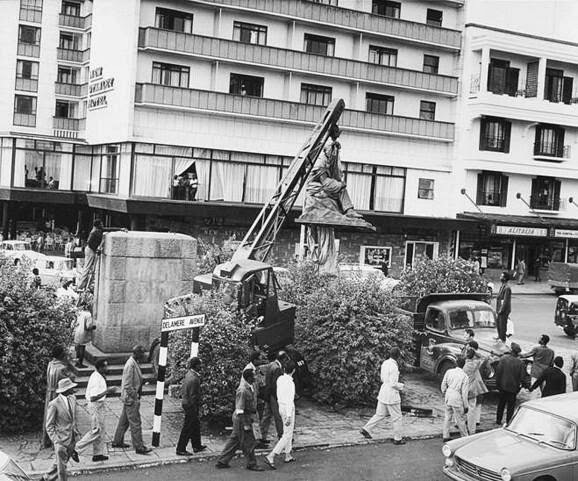 There was an attempt to deface the Nyayo monument at the Central Park and police were called in and repairs later made. That is how nations should protect their past. The world watched as Saddam Hussein’s statues in Firdaus Square in downtown Baghdad were brought down by US Marines which was the first attack on symbolic images on a nation’s political and cultural heritage. Is it any wonder that there is an ongoing destruction cultural monuments in Egypt, Iraq, Libya and Syria by Islamic State? They have so far destroyed the statue of Abu Ja’afar Al-Mansour, the founder of Baghdad and the tomb of 12th-century philosopher, Ali Ibn Al-Athir. When a nation refuses to acknowledge its past and appreciate the aesthetic and historical value of statues and memorials, then it loses an opportunity to dialogue with the past. No nation should settle scores with monuments and South Africans need to learn this. Having said that, Nairobi should return the statue of Lord Delamere from the shores of Lake Elementeita to its original plinth. We cannot use sites and monuments to settle old scores. We should start seeing the monuments as part of our heritage, as historical artefacts and as symbols of the past. Or do we think that the French are crazy to have maintained Arc de Triomphe despite the fact that it was associated with Napoleon Bonaparte – a man who almost destroyed France. For public historians, it was gratifying that President Robert Mugabe said they will keep the grave of Cecil Rhodes in Bulawayo although some ZANU-PF members have been calling for his exhumation and repatriation to Britain. Governor Evans Kidero, should help Nairobi restore its symbols. are you married to a white man nkt!! !